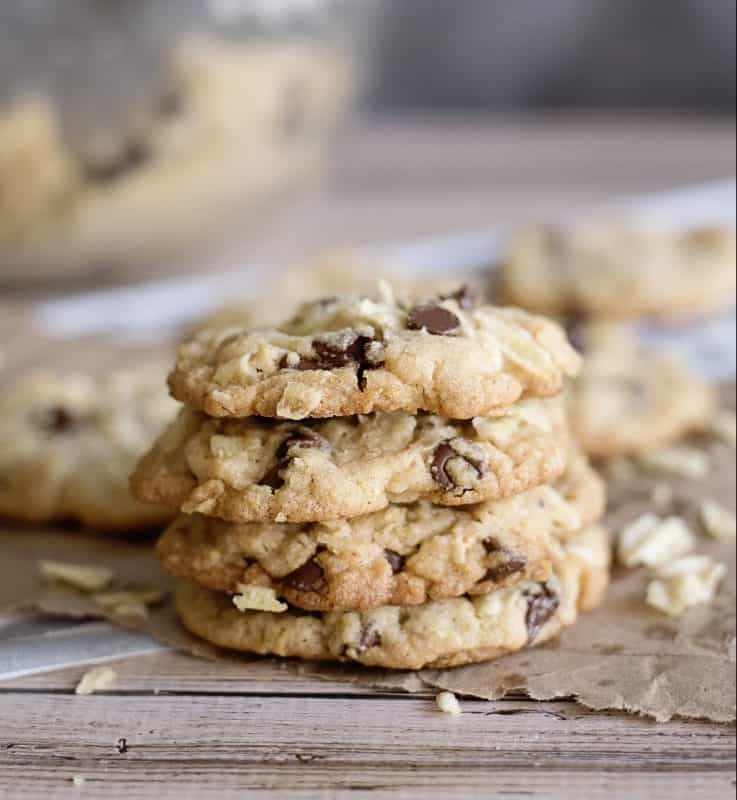 Chewy, sweet, lightly salty chocolate chip potato chip cookies are just a few ingredients away! And finally, we know what to do with those crushed chips at the bottom of the bag! Okay, we finally know a socially acceptable thing to do because 99% of us just turn that thing up and pour them into our mouths- but let’s keep that on the down low and pretend we don’t. 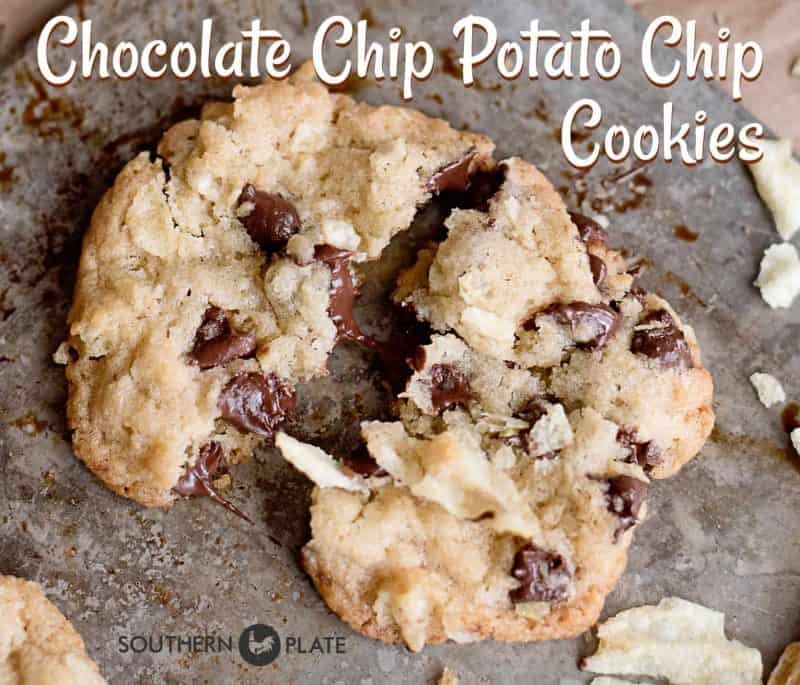 While I am a ALL COOKIE LOVER (click here to see my entire cookie recipe collection) there is always a soft spot for chocolate chips with everyone I know. This is one of those fun recipes you can bring and folks will say “Now WHAT did you say these were?”, prompting them to eat one out of curiosity, and then a second out of need. 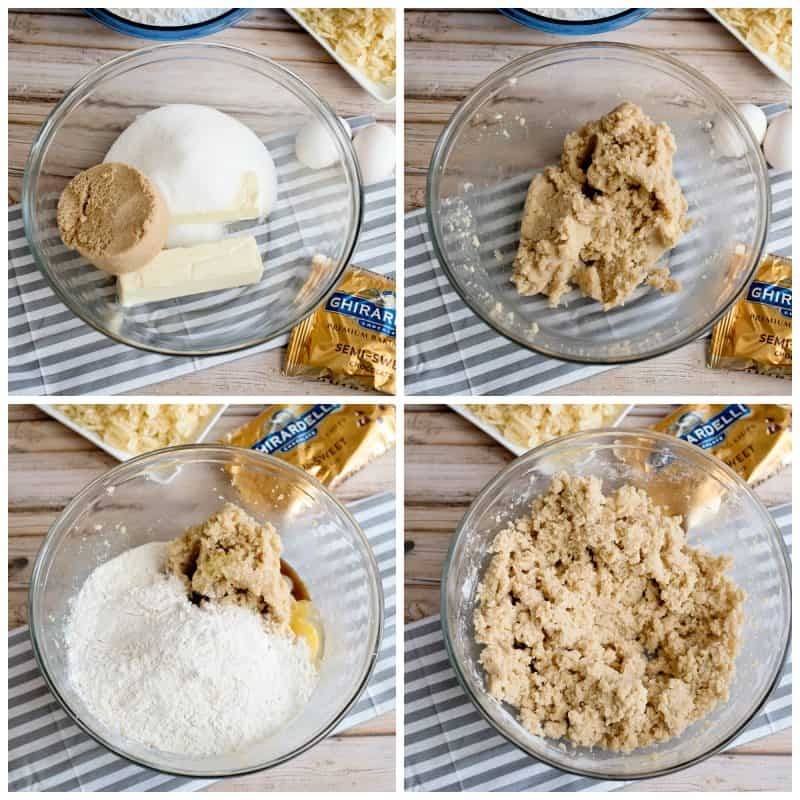 Because it is that time of year and we all have needs when it comes to homemade cookies. Let’s get baking! Now y’all know I tend to lean towards generic when it comes to ingredients so if I ever tell you I use a name brand you need to know that it makes a difference. Having said that, feel free to use generic anyway because I am not the boss of you. 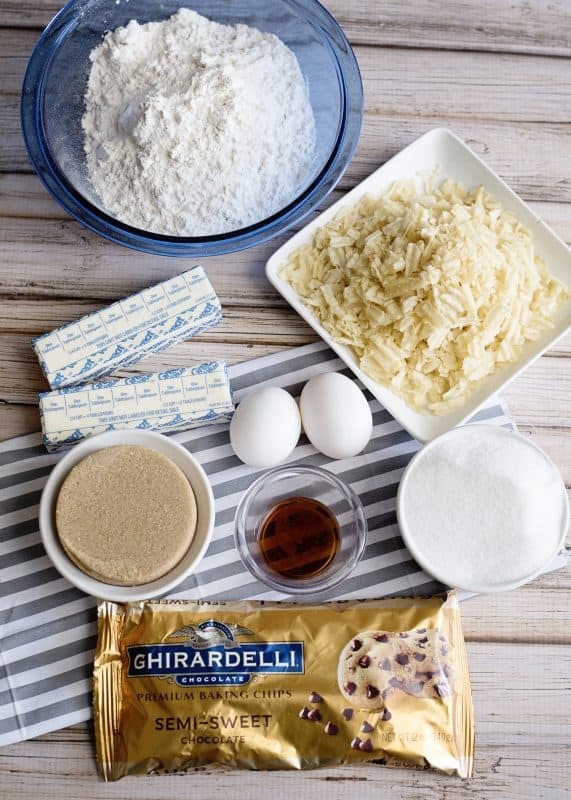 To make these, I use: unsalted butter, brown sugar, white sugar, eggs, self rising flour, vanilla, semi sweet chocolate chips (I spend the extra and get Ghiradelli for these because every now and then we all need to be a little high maintenance), and some crushed potato chips. In large mixing bowl, place butter, brown sugar, and white sugar. Beat with an electric mixer until well combined and creamy. To mixing bowl add: eggs, flour, and vanilla. Beat again until fully incorporated, scraping down sides if needed. Add in chocolate chips and potato chips and mix again until integrated into the dough. Cover dough and refrigerate for an hour. I know you probably want to skip this step. I get it. Patience is not one of my spiritual gifts. 😉 But I actually bit the bullet and wait the hour on these. 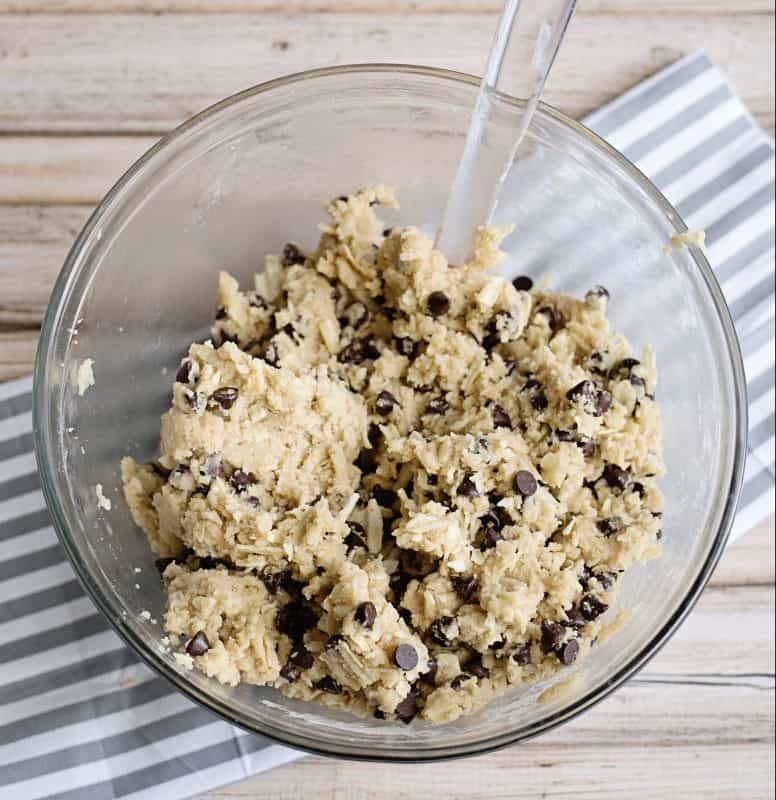 Using a cookie dough scoop (about a tablespoon in size), place scoops of dough about two inches apart on lightly greased baking sheet. I mosh them down just a tiny bit in the middle so they aren’t ball shaped, but not much. Bake at 350 for 10-12 minutes, being careful not to over brown but removing when it is just lightly browned around the edges. Oh. My. Goodness. Make sure you try one warm! They are great at room temp of course but once they have cooled I like to wrap one in a paper towel and put it in the microwave for a ten seconds or so. Beautiful little cookies! You’ve been good all week and now it is time to reward yourself! 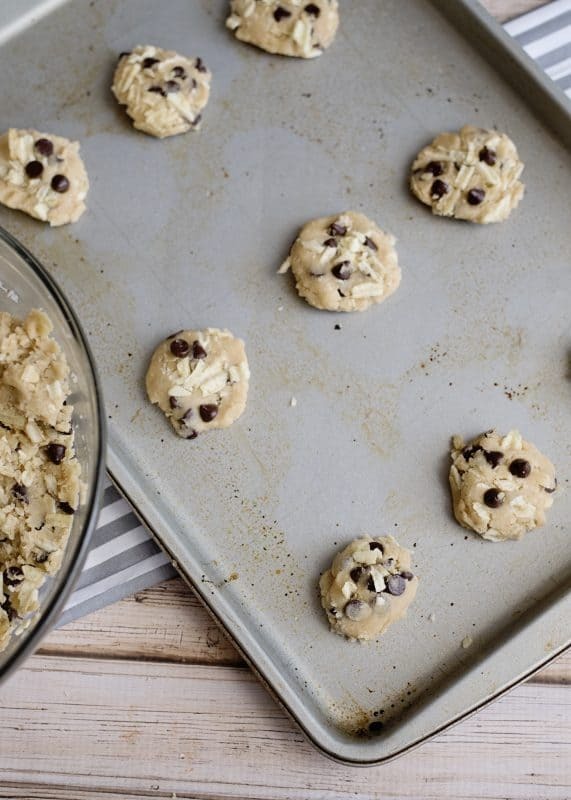 Using a cookie dough scoop, place scoops of dough about two inches apart on lightly greased baking sheet. Don’t worry about the numbers. Help one person at a time and always start with the person nearest you. I would love it if you could share any of your favorite quotes or sayings! Feel free to leave them in the comments below or click here to visit our Give A Penny Quote Post. Thanks for this recipe! My husband works for Frito-Lay so I’m always on the lookout for recipes that call for one of his products to give as gifts. These sounds delicious. Can’t wait to make them! Oh my goodness what fun!!!!!! Don’t know if you’ve ever talked about unsalted butter before. I assume you use it for this recipe because of the salt in the potato chips. Do you have any other times when you feel a recipe is better with unsalted butter? 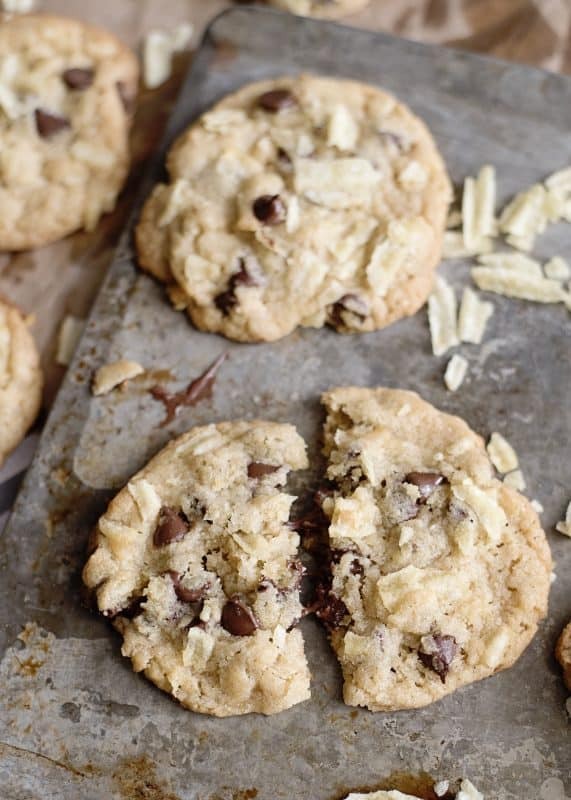 BTW, these look delish–gonna have to check ’em out soon! Wow! I love everything about this post. God bless you Christy. You just made my day great! 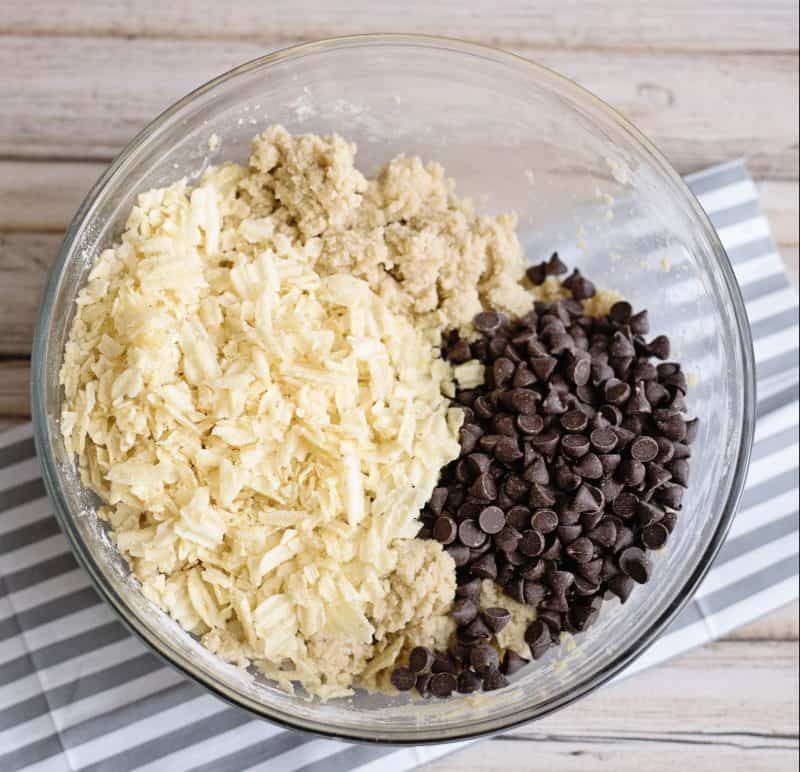 Christy, when mixing the chocolate chips and potato chips into the dough, do we use the mixer or do we need to use a spoon? Want to make these right away. Have you ever tried adding chopped pecans to this recipe? It sounds yummy as is, I just like nuts with anything chocolate chip. I haven’t but they would be wonderful! I LOVE chocolate covered potatoe chips, in fact my youngest daughter (14) made me some last night! I cannot wait to try this recipe, thank you for sharing! I am not able to print from my recipe box or from safari after opening mt email from you. Hummmmmm. Very frustrating. I double checked and my print plugin is working and it’s printing for me as well. Are you using a device to try to print from (ipad, iphone, etc) sometimes those give issues and sometimes it is how your printer is set up. Often, Safari is the problem as well. I use google chrome but safari may work if you update to the latest. Hi Christy I made these already but they turned out a little hard to chew, is it something I overdid either in the baking or the stirring. I like them but those were some of the comments I received. 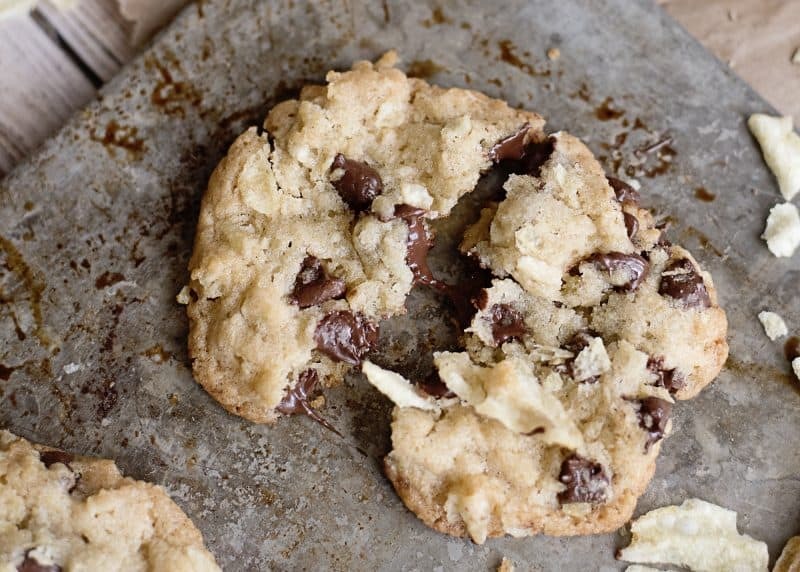 This cookie recipe sounds yummy,plan to make it when my grandchildren visit in May. I hope y’all have a wonderful time making and eating the cookies Ruth! !